Visit us and see what a difference “Custom” really makes. From kitchens to baths to libraries to closets, we offer beautiful, customized designs for any room in the home. 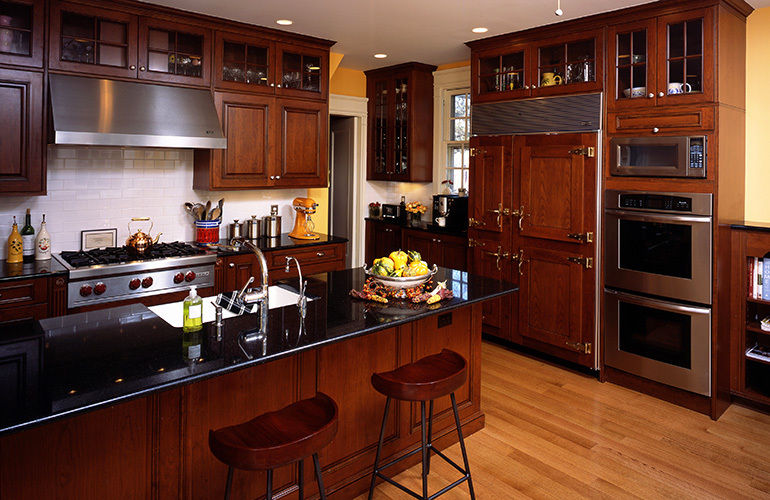 Wood-Mode offers an extraordinary selection of cabinetry designs made up of superior quality, fine craftsmanship and a dedication to protecting the environment. Exceptional designs to fit your every need. We provide the finest American-made cabinetry with an endless choice of styles for every budget. Make your dream a reality. 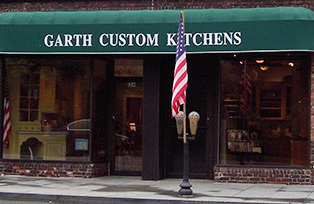 Garth Custom Kitchens, Inc. has been a Scarsdale landmark since opening on Garth Road in the 1950s. We pride ourselves on our reputation, longevity and repeat customers who come back generation after generation. 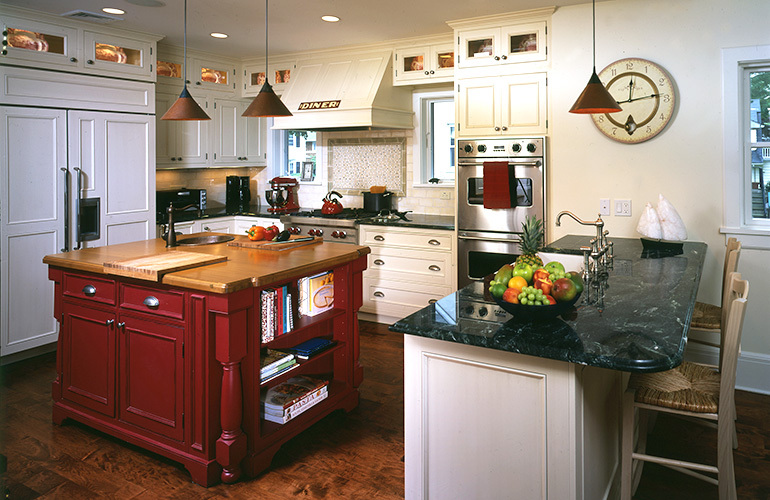 We provide the finest American-made cabinetry with an endless choice of door styles, wood species from maple to exotic woods, and a huge selection of paint, stain and glaze colors. 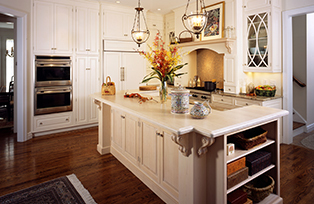 Garth Custom Kitchens offers residents of Westchester County, the Greenwich, Bronxville and White Plains areas Traditional American, European and Contemporary kitchens for every budget. 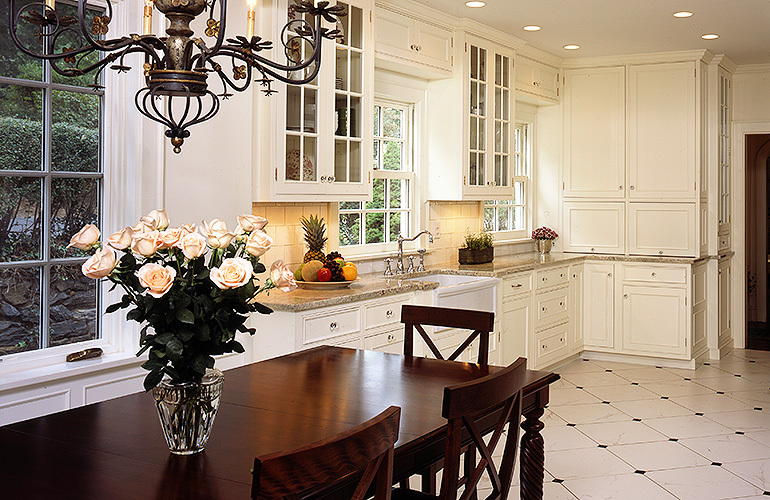 With our extensive experience in design, we are dedicated to improving the look and value of your home. 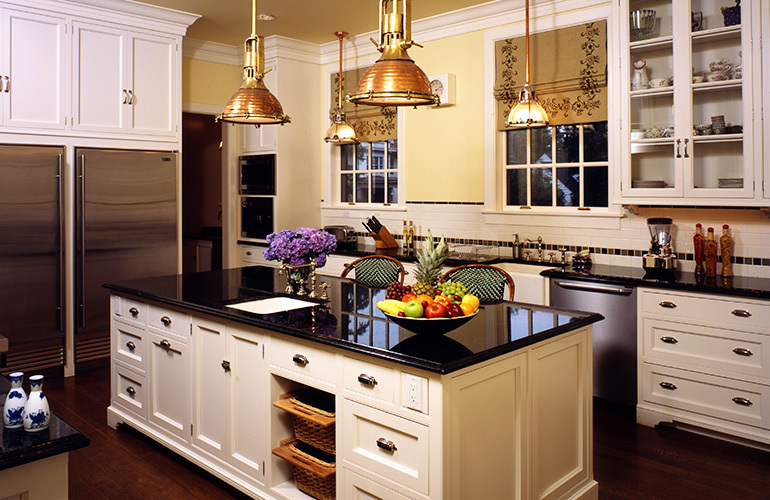 Your custom kitchen, bath or other project begins with a consultation in our showroom or your home. Our designer will discuss your needs, budget and design concept in depth. We will also walk you through a selection of styles and designs that match your aesthetic. In our follow-up meeting, we review the designer’s layout, a detailed estimate, timeline and break-out of all the work that needs to happen. With a signed agreement, we finalize the order, timeline and payment schedule. We stand by our products and the work of our designers and expert installers. 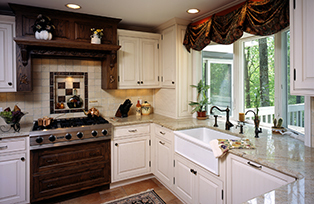 Garth Custom Kitchens, Inc. will meet all of your remodeling project needs, from measuring and drafting your floor plans to installation of cabinets and counter tops. We look forward to remodeling every room in your home. Our experienced designers will create custom design for your project. We are with you from start to finish. 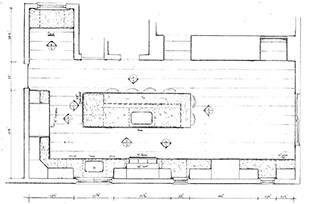 The elements of the individual design and drafting concept develops a three dimensional design into reality. It starts with our clients dream and ends in a living environment that becomes real. We have the capability to provide our clients with specialized custom cabinetry in dimensional sizes to a 1/8” in width, height and depth. This specialized sizing allows for a unique, customized design which eliminates the use of bulky fillers and unnecessary panels that many regional competitor’s use as a result of their limited customization. 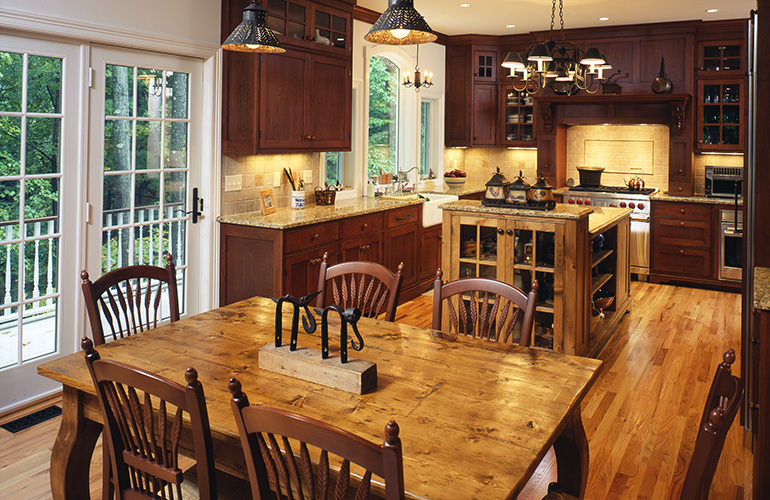 Garth Custom Kitchens and Wood-Mode are acknowledged as leaders in the Kitchen and Bath Industry. 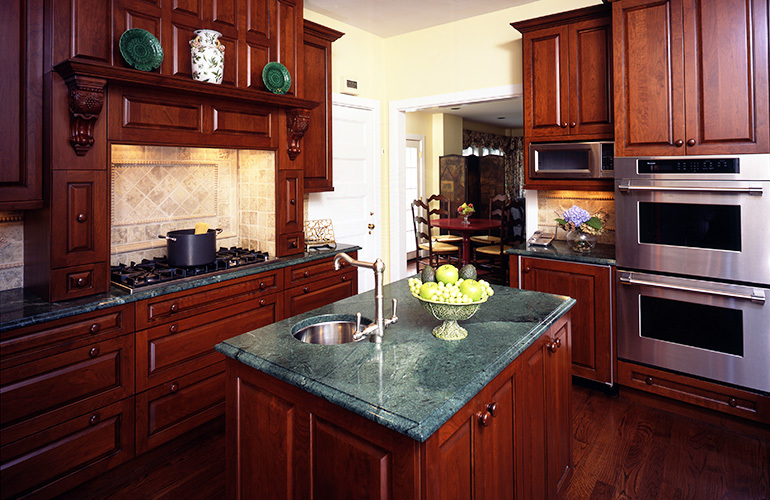 We design and install many different types of countertops. We work with you to determine what is best for your project: granite, quartz, Corian (R), Caesar Stone (R), marble, soapstone, stainless steel, limestone, zinc, brass, copper, concrete, and more. 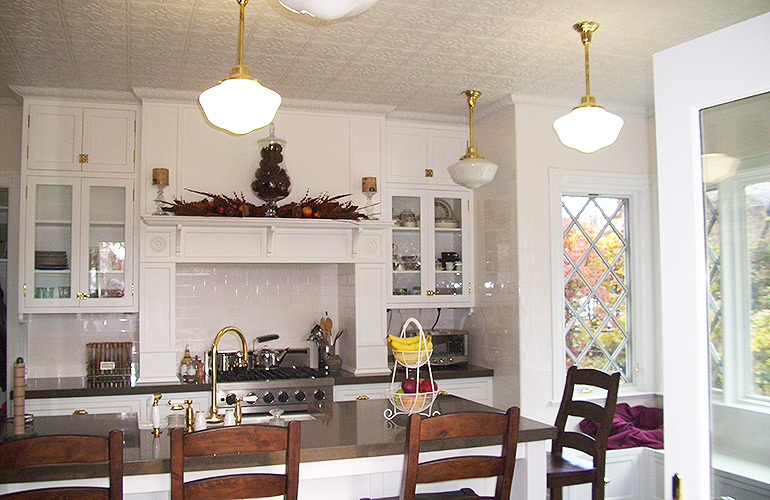 We will also install a custom backsplash in the same material as the countertop. We are happy to install tile and hardwood flooring, as well as tile backsplashes, using material purchased and supplied by the homeowner. We will work closely with you to advise on flooring options that complement the aesthetic of newly designed spaces, and ensure you have the correct measurements and specifications for ordering flooring materials. 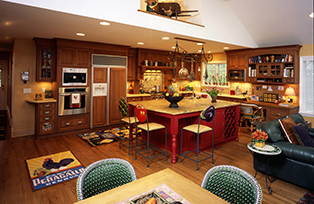 Our portfolio features some of our favorite projects in a wide range of styles. Careful discussion with your designer will lead the two of you to just the right style and design for your room. 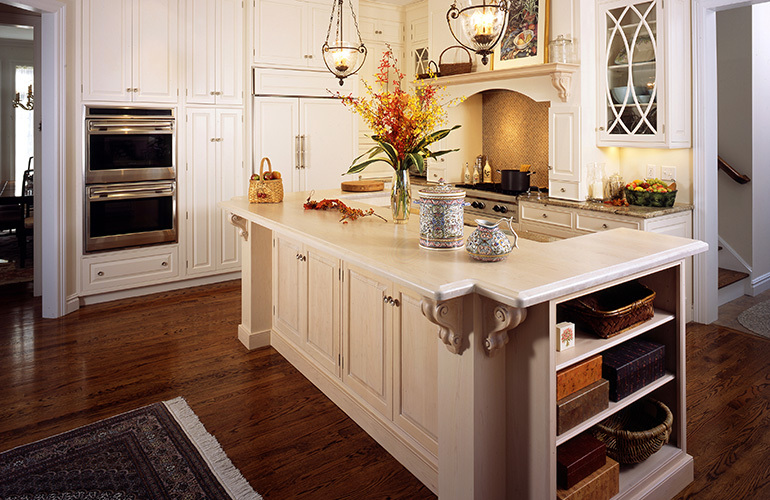 From the clean lines and unadorned planes of a Contemporary kitchen, to the classic warmth of Traditional design with its old-fashioned homey appeal, to the beautiful but simple Transitional room that takes the best from both styles, Garth Custom Kitchens can create it for you.